Forays in the Field – Shhhhh…. A one of a kind of event for the true truffle enthusiast. Truffle Association of British Columbia hosts will guide you through a visit of the only producing bianchetto truffle orchard in Canada. 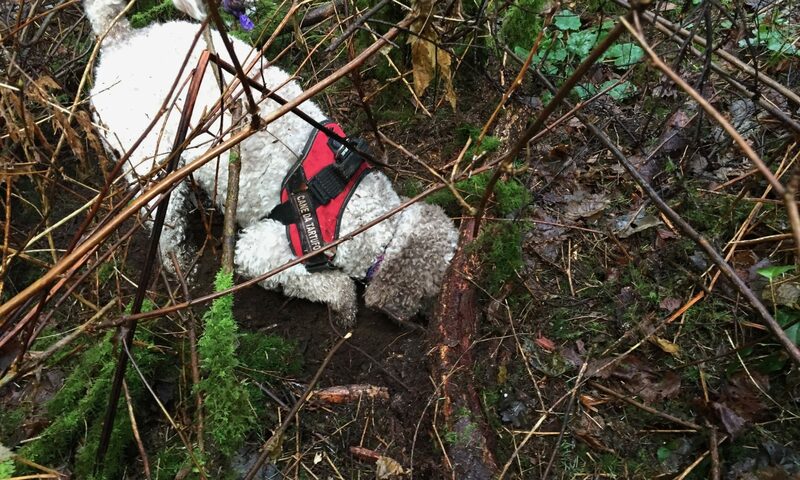 BC’s top truffle hunting dogs will be there to harvest ripe truffles while you watch. Then it’s on to a secret location in Langley to forage for wild West Coast truffles in their native habitat. Two native varieties of truffle are in our sights at this location. 11am Truffiere owners, Michelle and Trevor invite ticket holders to their bianchetto truffle orchard. The Langley location will be disclosed to ticket holders prior to the event via email. 1:30pm Truffle tasting and optional wine tasting (extra fees will apply for wine tasting).